WRITERSWEEKLY.COM has received lawsuit threats from this publisher’s “attorney”. After this “attorney” refused to give us his state bar registration number, we called the California State Bar, which confirmed that this individual does not exist as a member of the California State Bar. So, either this person is practicing law without a license, or this person does not exist. This publisher has also sent out libelous emails about WritersWeekly titled “WritersWeekly is going down”, copies of which we have obtained. FINAL UPDATE: Jena Ball is still waiting for that check that Joel Ball claims he mailed above. 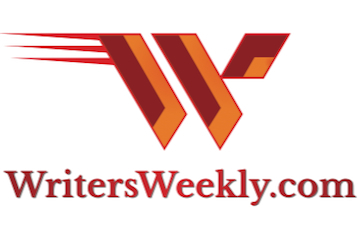 This is the second complaint WritersWeekly has received about this firm. In December of 2002 I was contacted via the Guru.com web site by Joel Ball (no relation to me as far as I know), the Editorial Director of The School to Work Foundation (http://www.school2workfoundation.org/). He wanted me to edit 100+ pages of a book that was to due to the publisher immediately if not sooner. I requested a contract and was told it would be sent on Monday when Mr. Ball went into his office. However, the material needed to be in to the printer by Monday morning, could I do it? This was presented to me as a sort of paid test to see if I could handle the work for future projects (a book series) as well. I said sure, I’ll do it. We immediately had problems with the files he was sending. He either couldn’t or wouldn’t send the document as a file I could edit electronically, only as a PDF. For some strange reason he couldn’t get it in a size that could be easily printed either. I eventually had to go to Kinko’s and pay $35- to have them print out the material on coffee table book size paper so I could edit on physical paper. I got the work done and faxed the material to him. He said it looked good and he would send CDs of the material so I could enter the changes in on the disks. He asked me to be sure to call and remind him to send them if I didn’t get them right away because he was busy moving from Kansas to Los Angeles and might forget. I asked about my contract and how to bill him. He said he would e-mail me a contract the next day when he went into the office and to send him the invoice. 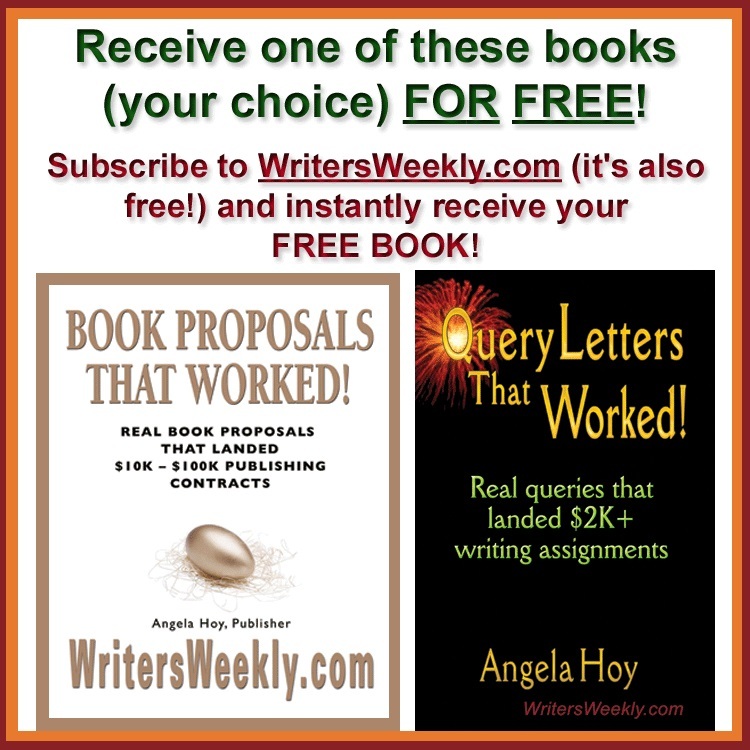 (Email removed by WritersWeekly for space limitations). Please note that he said the check would be in the next cycle on the 15th. Since I still had no contract explaining the company’s payment procedures or policies, I assumed this meant my check would be generated on the 15th, I waited until the 18th. before contacting him. “Got your check today, I’ll send it out ASAP. When I was finally able to get him on the phone he wanted to know why I was doing this. Didn’t I understand he has a lot going on in his life?. He had hired me as a freelancer and so was under no obligation to me. I pointed out to him that he had asked me to remind him to send the CDs, had promised a contract that never materialized, and a check that still hadn’t arrived. He said he didn’t want to do business with me anymore and would send the check immediately. It has now been another week since I spoke with him last and still no check. I emailed him this morning asking about it and received the email below (Email removed by WritersWeekly. Publisher called writer “obnoxious.”). My invoice (originally submitted on January 3rd.) is more than 30 days old. If you go by his January 15th. message, it is still overdue, never mind his announcement that he had it on the 4th and would be sending it ASAP. from you though you promised it 4 times. (many more Nags appeared, but were deleted by WritersWeekly). I don’t really understand why this has happened. From the start I have tried to behave in a professional and timely way. I went out of my way to accommodate his extremely tight deadline, shelled out $35 of my own to get the document in a form that could be edited, and did what he requested with regards to calling and emailing him to remind him about the CDs and contract. Now I am a nag? Anything you can do to help with this would be greatly appreciated, but I would also warn other writers to stay away from this company. He originally claimed to be in Los Angeles, but wouldn’t give me an address, then told me he was in Kansas City. The web site has no address listed either. YES THAT WHAT HER INVOICE STATES, HER WORK WAS SUBSTANDARD BUT I SUBMITTED HER INVOICE. I ASK FOR A SIMPLE, QUICK 10 HOUR EDIT AND SHE 30 HOURS, DOES NOT HAVE THE EQUIPMENT TO INTERACT WITH BASIC SOFTWARE AND IS VERY HARD DEAL WITH. SHE PROBABLY LIVES ALONE WITH A DEAF PET. YES THAT IS MY PREROGATIVE TO ENTER INTO AN AGREEMENT WITH WHOMEVER I CHOOSE. HER WORK IS UBSTANDARD AND I THINK SHE HAS SOME PERSONAL ISSUES THAT DO NOT BELONG IN OUR ORGANIZATION. That you lied about mailing payment. I NEVER SAID I MAID HER PAYMENT. I. AS A COURTESY AND BECAUSE SHE CAN BE ON A 30 DAY CYCLE, TOLD HER THAT I RECEIVED HER CHECK. I WOULD MAIL IT IN THE NORMAL CYCLE. HER INVOICE WAS SUBMITTED ON THE 15TH OF JANUARY AND PAID ON THE 15TH OF FEBRUARY. SHE cannot COME AND PICKUP HER CHECK SO I HAVE TO MAIL IT. WE MOVED OUR OFFICE FROM KANSAS TO LA AND I NEEDED SOME EXTRA TIME. THE CHECK WAS NOT EVEN 2 DAYS LATE BEFORE I STARTED GETTING HER HARASSING E-MAILS. That your business correspondence is unprofessional and immature. SO IS STEVE MARTINE’S. SHE IS A MAJOR NAG AND I PRACTICALLY BEGGED HER TO STOP THE HARASSMENT. SHE KEEP ON AND ON. I RETURNED ALL OF HER UNREAD EMAIL WITH NAG PASTED ALL OVER IT. I’M ALSO A COMEDIAN, SUE ME. HER CORRESPONDENCE STARTS WITH “WHERE’S MY MONEY.” SHE IS CLASSLESS, REPULSIVE AND LACKS ANY COMMON BUSINESS SENSE. FOR HER TO TAKE SUCH AN AGGRESSIVE POSTURE FOR AN INVOICE NOT EVEN CLOSE TO 15 DAYS LATE WILL TELL YOU HER ISSUES GO BEYOND PAYMENT. SHE WAS REJECTED. SHE IS BITTER. IF I CONDUCTED BUSINESS LIKE HER I WOULD ALSO BE JOBLESS, LIVING ALONE WITH A DEAF PET. I was pretty upset by this at first since I have never had my work called sub-standard or been accused of not having appropriate equipment. I still have all the edits I did if you would like to see the type of corrections I recommended. There were errors (grammar, spelling, punctuation) on almost every page. That’s why the editing took so long, and why I asked his permission to put in the extra time. He said yes. When I told him that there were a lot of errors, he wanted to know if we couldn’t just overlook most of them to save time. I told him I wouldn’t recommend it as it would reflect badly on the company’s reputation. He later thanked me for keeping him “honest.” I use a top of the line Dell with every program I could possibly need as a writer and editor (Quark, PageMaker, Photoshop, Illustrator, Corel, The Microsoft Office Suite, etc.). The reason my computer wouldn’t open the file he sent was because my firewall removed it saying it had a virus. More disturbing is his reaction to my attempts to follow up with him. I have emails (happy to send if it would help) that I sent him asking to talk about the situation when he didn’t send a contract or the CDs. Whenever I could get him on the phone (usually had to call two or three times and he never returned my calls) he continued to assure me that he wanted to work with me. Therefore I was quite surprised to hear that he thinks I’m a nag. editing, so I have been making an effort to do that. I will understand and we can part ways. We have also been notified by Jena Ball that you insisted she leave some typos in the work she was editing to save time. She states you also approved the extra time because the work you sent her was in such a bad state. To stop payment on a check issued for valid services per a prior agreement, simply because the contractor notified the media of your failure to pay, is a crime. Jean Ball did the work. You refused to pay her.